My commitment to health and wellness has always been a big part of my life, but my passion was fueled even further after I was diagnosed with ovarian cancer – a disease that more than 22,000 U.S. women are diagnosed with annually. I’m so grateful to be a cancer survivor, and I hope to empower and educate other women. Through this experience, I’ve recognized that leaving my health to chance is not something I would do for myself or my loved ones ever again, and I want other women to know they don’t have to either. That’s why I’ve joined TESARO to share my story and spread the word about the Our Way Forward program. Our Way Forward was created as a call-to-action that encourages ovarian cancer patients, their loved ones and healthcare providers to rethink how they talk about ovarian cancer. The program provides ways to partner together and navigate the physical and emotional challenges that the disease brings. For many women being diagnosed with ovarian cancer is often uncharted territory, and there are many unanswered questions about treatment, the physical impact of the disease, and the emotional toll ovarian cancer can have on patients and their families. 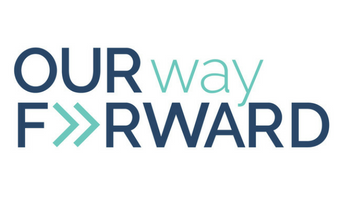 Recognizing that everyone’s experience is different, the Our Way Forward website offers resources for care partners, discussion guides for patients before speaking with a doctor, and so many incredible stories from other women that may be just like you or your loved one. If you or a loved one is facing a difficult diagnosis, I encourage you to visit ourwayforward-oc.com – and be sure to take a look at my personal blog perspectives!